You might have heard the rumor that Xiaomi isn’t going to be appearing at this year’s MWC trade show. However just like Samsung, the manufacturer has a flagship planned for 2017 and it is expected that the device is going to sport a material that will make it extremely scratch resistant. While that is great to hear, there are going to be some trade-offs due to that, and you will soon find out. One rumor coming out of China (via MyDrivers) suggests that the upcoming flagship is going to sport a ceramic body just like the Mi Mix. This could also mean that the Mi6 could ship out with a small number of bezels, but we’ll wait for confirmation to come through before we give our own verdict. Coming to the material of the Xiaomi Mi6, the ceramic used on the Mi Mix made it extremely scratch resistant. In fact, in several scratch tests, the smartphone’s body held up far better compared to the competition which in other words mean that car keys and coins will inflict absolutely no damage to its exterior. However, it presents one problem as far as the ceramic body goes. The more scratch resistant something becomes, the more brittle it will become and even a small drop will result in the ceramic body cracking. There were drop tests carried out on the Mi Mix and it didn’t take much of an effort to damage the beautifully crafted handset. 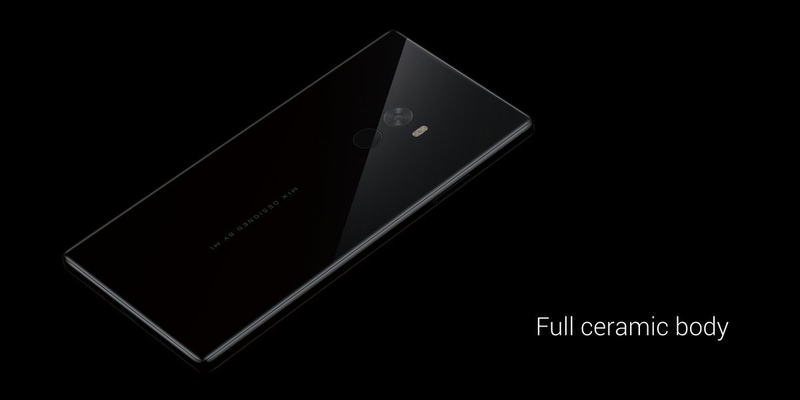 If the rumor turns out to be true, Xiaomi will no doubt attempt to market the beautiful ceramic body of the flagship, but it will also recommend customers to put on a high-quality case to prevent irreparable damage to the smartphone. Ideally, a transparent high-quality case will allow you to show off the aesthetic quality of the smartphone, and its specifications are also expected to be high-end. We’ll continue to provide you with detailed stories like this, but take this rumor with a pinch of salt for now.